The Sony PlayStation Network is currently suffering some downtime, with all Sony Online Network services unavailable for use. Although Sony has posted a blog post saying that it is not yet sure what has caused the outage, speculation is already rife that Anonymous is behind it. The anonymous collective is the group behind the website attacks in support of Wikileaks some weeks ago, and recently named Sony as its next target. Sony's European blog manager, James Gallagher, didn't rule out the possibility of outside interference, writing: "Our support teams are investigating the cause of the problem, including the possibility of targeted behaviour by an outside party. "If the reported Network problems are indeed caused by such acts, we would like to once again thank our customers who have borne the brunt of the attack through interrupted service." 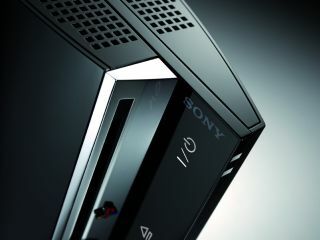 Sony invoked Anonymous' ire by legally pursuing PS3 hacker George Hotz and "violat[ing] the privacy of thousands" in the process; the case has since been settled out of court. So, as you head off for your long weekend at half five, spare a thought for the poor Sony engineers working overtime while you enjoy the sun.